(E) Lydia Dark Moon - SOLD - Thank you! 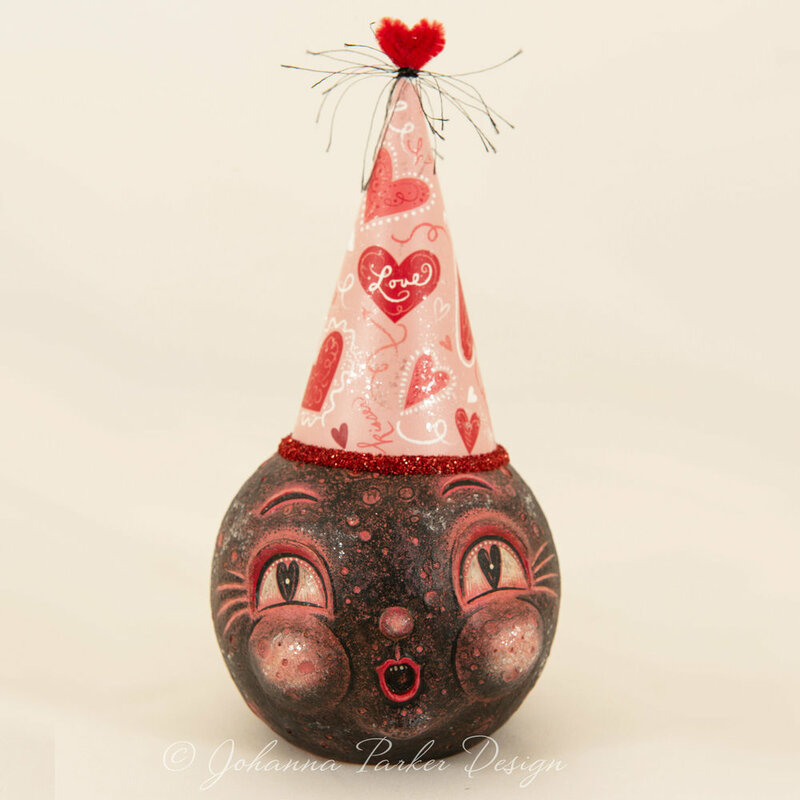 -Donning a handmade conical hat made with Johanna’s illustrated heart pattern & trimmed in red glass glitter & a chenille heart with wisp. A Johanna Parker Design original! To purchase, please send an EMAIL and include the LETTER CODE for this original. If you are notified as the first to “Catch” this piece, please confirm your interest by emailing your shipping address & a phone number to reserve it. Thank you! NOTE: This piece will ship via UPS after payment has been received. PAYMENT: We accept all major credit cards via a Square secure e-Invoice. Upon request, we also accept PayPal, check or money order.